Praise for the Otherworld books . . . Such amazing imagery and strong characters.I love the combination of action, mystery, and suspense. I can't wait for more of Meghan's story! This series had me hooked from the very first chapter. The author weaves a magical tale. You feel like you are right there with the characters the entire time. I have laughed and cried several times while reading this series. I only have two books left before the end. I will be sad when I read the last chapter. I loved this series. It was entertaining, I loved the characters, and loved the storyline. Just the type of plot that keeps you reading. Good for all ages! This has a fresh spin on Celtic lore. It has surprise, action and romance. Excellent start to a fun series. This book was amazing! I could completely relate to the characters, especially Meghan the poor, awkward teen with a band of misfit friends. This book made me laugh, cry, feel anxious and completely and totally sucked me in. Jenna Elizabeth Johnson is one of my new favorite authors! A year ago, Meghan Elam learned that she was Faelorehn, a being of the Otherworld. Immortal. 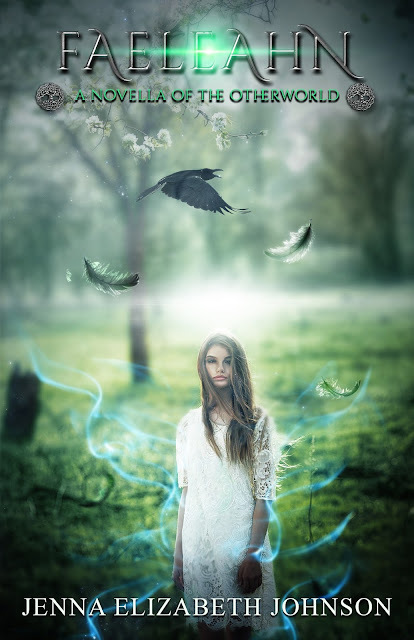 Now she must juggle her life in the mortal world with the one she has started to build in the Otherworld. However, keeping her identity secret from her friends and family while trying to avoid a wrathful Celtic goddess is no easy task. 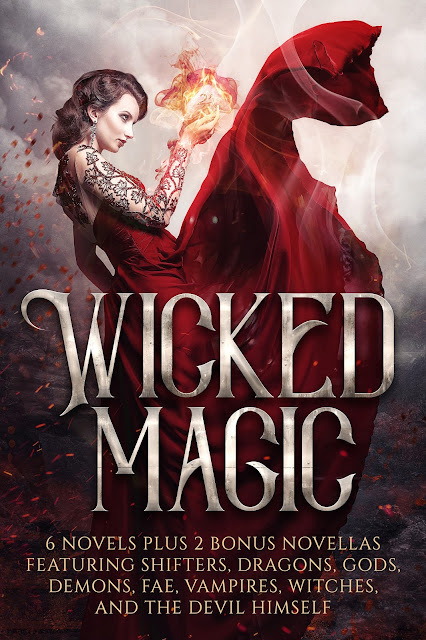 With the help of the intriguing Cade MacRoich, Meghan will learn that not only does she come from a place full of magic and wonder but that she, too, is far more powerful than she ever thought possible. Meghan Elam knows that she belongs in the Otherworld, but she doesn't know if she's quite ready to take that leap. With Cade on the mend and her mortal family aware of their daughter's true identity, everything seems lined up for her to make a smooth transition into her new life. Unfortunately, Meghan has a mortal enemy, an angry goddess who has not yet given up on her chance for revenge. As Meghan struggles to find her place in Eile, secrets from a past she knows nothing about well up and threaten to tip the scales even further. And when the Morrigan vows to bring a war down upon the Otherworld, she finds herself stuck in the middle of an epic battle, one that promises to destroy all that she holds dear. In order to save the ones she loves the most, Meghan must be prepared to make the ultimate sacrifice and hope that she will be strong enough to vanquish her enemy once and for all. The Omnibus Edition includes all three books of the original Otherworld Trilogy: Faelorehn, Dolmarehn, and Luathara. Cade MacRoich is Ehríad, a faelah bounty hunter. When he is compelled to deal with a collection of particularly nasty monsters in the mortal world, he stumbles upon a stream of Faelorehn magic that leads him to something astonishing. The children of the Weald are protected by the forest’s ancient magic, but when the Morrigan’s faelah manage to break through that barrier, Cade’s sister calls upon him for help. Cade has tried in vain to forget about the alluring Meghan Elam. Unfortunately, the Morrigan’s interest in the young Faelorehn girl puts her in danger and makes Cade realize he is willing to risk everything to keep her safe. Caedehn MacRoich was sent to the mortal world for one purpose: to hunt the Morrigan's renegade faelah. But he never anticipated stumbling upon Meghan Elam, a young woman from his own realm, nor did he expect to fall in love with her. Fate, however, had other plans for Cade and when he broke his own geis to keep Meghan safe, the Morrigan demanded retribution for his disobedience. Now, in order to guarantee Meghan's safety Cade must make a sacrifice that very well may drive him mad. With the Celtic goddess of war playing tricks with his mind, Cade is called upon to perform another duty. The Amsihria of the north, an elusive sect of women responsible for taming Eile's powerful weather, are under attack by a horrible monster from another realm. With the help of his sister and her companions, Cade embarks on a journey that will take him beyond the edge of the Weald and further away from Meghan. Along the way he will be forced to contend with the Morrigan's continuous assaults as well as his own doubts and fears, all the while knowing that the young woman he's grown to love remains vulnerable in the mortal world. Robyn Dunbarre has a plan. It may not be the perfect plan, but it is a good one nonetheless. Two years out of high school, and at the start of her sophomore year in college, Robyn is working her way toward a business degree with the hopes of someday managing the Green Tea Leaf, a local café in the bustling town of San Luis Obispo. What Robyn hadn’t planned on, however, was getting caught up in the business of the Otherworld. When a young man from Eilé saves her from the unwanted attention of a local demonic gang, Robyn learns that there are some things in life that she has absolutely no control over. Devlin O’Brolaigh is everything Robyn doesn’t need in her life right now. Tall, incredibly good-looking, and enigmatic, she is certain his presence will bring nothing but trouble. 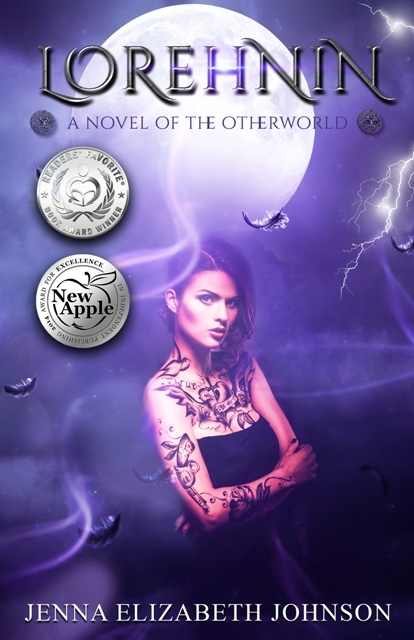 When the Otherworld continues to encroach upon her and the lives of her friends, however, Robyn soon realizes that she’ll have to ignore her sensible side and give in to her rebellious nature once again. Unless she can learn to trust Devlin, and work with him, she may become the next victim of the Morrigan’s continuing legacy. But in order to preserve her life, Robyn may very well have to risk her heart. A few scant months ago Robyn Dunbarre, with the help of Devlin O’Brolaigh, managed to escape the claws of a sadistic Otherworldly mage with her life barely intact. 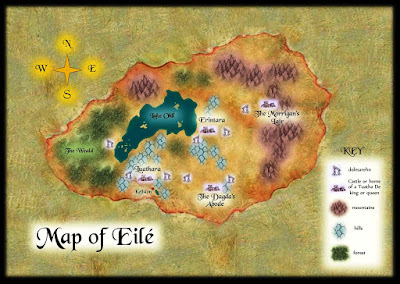 Now living in Eilé, Robyn is eager to track down her Lorehnin roots. 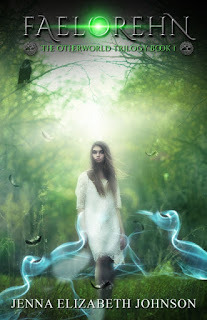 Devlin believes they should start searching among the Amsíhría, the women of the Otherworld with the power to appease Eilé’s wild, and sometimes volatile, weather. 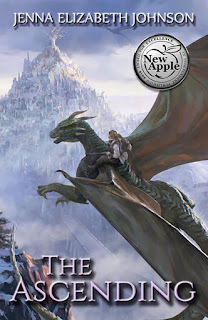 On their journey to the Amsíhr Mountains, Robyn and Devlin visit Luathara Castle. 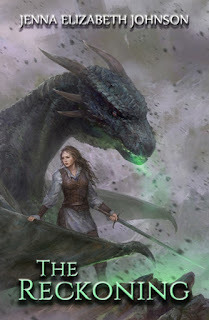 The time spent with Meghan and Cade is meant to be a calm and relaxing break from their recent trouble in the mortal world, but Robyn soon learns that not all has been peaceful in Eilé either, and that the stubborn well of her own Lorehnin magic is finally ready to leave its mark on the Otherworld. Caedehn MacRoich and Meghan Elam have been through more trials and tribulations than most young couples can imagine. Despite the constant presence of a malevolent goddess bent on destroying them both, and the high queen Danua doing her best to keep them apart, Meghan and Cade have persevered through it all, never once losing sight of one another, or the love that kept them strong through it all. Now Cade and Meghan are ready to make their relationship official, to pledge their souls to one another in a traditional bonding ceremony of Eilé. Before the bonding ceremony, however, they must inform everyone of their intentions. Although the goal is to share the news of their upcoming wedding, the faelah bounty hunter and the princess of Erintara grow even closer as their love is reflected back to them by those they hold most dear. Brennon Roarke is cursed. Stolen from his family at the age of sixteen and forced to use his glamour in the service of Eilé’s most malevolent goddess, Brenn has little room for warmth in his heart. For seven long years, he endured hardship and pain, only to escape and find his parents and sister murdered, his nephew left blind and broken. 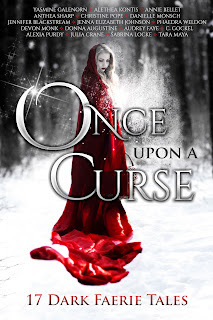 With the stain of dark magic on his soul, Brennon perseveres for the sake of his young ward, always worrying that one day the evil infecting his spirit will destroy him for good. Seren is an outcast among her own kind, ridiculed and ostracized by all but her mother. Born to the Fahndí tribe of the Weald, Seren’s glamour allows her to transform into a deer, but it also grants her the power to heal grave wounds. When she reveals this gift to her peers, jealousy and hatred drive them to murder, forcing Seren to either flee or fall victim to their malice. Taking on her animal form, Seren leaves her old life behind hoping to find a safe haven in a world that has only ever offered her hardship. Despite being worlds apart, Seren and Brennon are brought together in a single life-altering moment. When the doe Brenn shoots turns into a young woman before his very eyes, he has no choice but to bring her home with the hope that she’ll recover. What he doesn’t realize, however, is that Seren is quite capable of healing herself with glamour that may be able to cure his wounds as well, and not only the ones that run skin deep. Aiden Elam has always been different from the other kids he knows. The adults say he has Autism, but Aiden isn’t so sure. He can understand everyone just fine, he just can’t get the words out to tell them. Now, if he could only get past the strange feeling that keeps him trapped inside his own mind, then maybe he could tell his parents about the weird things he sees. Or perhaps he could even tell his sister, Meggy, for he knows she can hear and see the strange things, too. 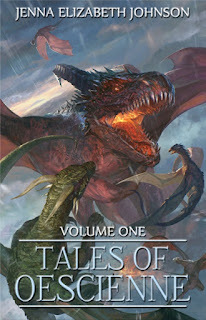 #1 Bestseller in Fantasy Anthologies and Dark Fantasy! Seventeen magical stories from NY Times and USA Today bestsellers and award-winning authors that will entice you to the darker side of faerie tales. More Grimm than Disney, in this collection you'll find twists on Snow White, Hansel & Gretel, Rumpelstiltskin, The Snow Queen, Cinderella, The Pied Piper, Alice in Wonderland, and Red Riding Hood, plus new tales paying homage to the old traditions. Being the Celtic goddess of war and strife isn’t a job for just anyone, but for the Morrigan, it seems like the perfect fit. She is cruel, conniving and will do anything to get her hands on the raw glamour of Eile. 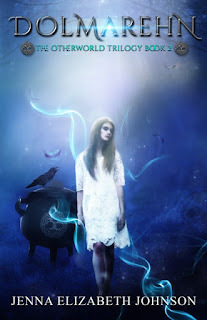 Yet, like anything else in the Otherworld, not all is as it seems and a person’s past can hold dark, terrible secrets. During a confrontation with her son, Caedehn, the Morrigan is compelled to relive a memory strong enough to rattle her, and painful enough to remind her of what she can never have. Seventeen all new, magical stories from NY Times and USA Today bestsellers and award-winning authors that will warm even the coldest hearts. Inspired by old favorites as well as lesser-known tales, find retellings of Cinderella, Beauty and the Beast, Sleeping Beauty, The Little Mermaid, Old Rinkrank, King Thrushbeard, The Princess and the Pea, and many more - all with fresh, romantic twists. Aisling is a talented artist. Her glamour can carve exquisite sculptures, a useful ability her uncle exploits for his own purposes. Kiernan is the son of Cernunnos, the god of the Wild, and an accomplished artist himself. When his father tasks him with the job of ruling the northeastern arm of the Weald, he accepts with the aim to also establish an art academy in the local village of Arbeine. 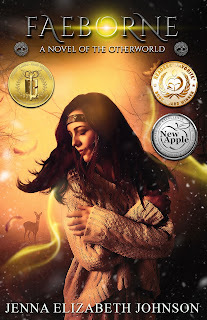 A chance encounter throws Kiernan and Aisling together, and before she knows it, the young Faelorehn artist finds herself falling for the son of one of the famed Tuatha De Danann. The only problem is, Aisling is unaware of Kiernan’s true identity, and her selfish uncle will do anything to keep her from realizing her own dreams. Six novels and two bonus novellas of twisted magical tales with romance, adventure, and enchantment. 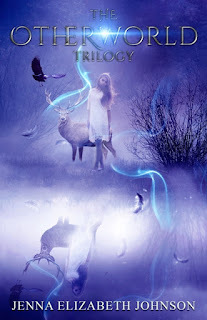 Meet trickster fae, dark elves, mercurial heroes, faery queens, southwestern witches, shifters, draghans, and vampires. See the Devil himself get his due and fall in love, right along with these extraordinary heroes and heroines. When Brienne intervenes on behalf of a draghan, a wild, fire-breathing beast from the realm of Firiehn, she only means to save the creature from a fate worse than death. What Brienne doesn’t realize, however, is that this monster is cru-athru, a shapeshifter capable of transforming into a man, one whose very presence heats her blood like draghan fire. A collection of literary works showcasing the talented writers of the breathtaking Coastal Dunes region of California ... 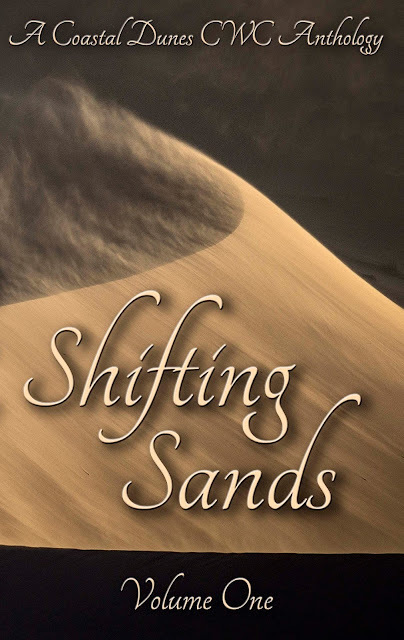 Shifting Sands is a compilation of fiction, nonfiction, and poetry pieces covering a variety of genres written by members of the Coastal Dunes Branch of the California Writers Club. Aiden Elam doesn't quite fit in with the other kids in the mortal world, and for good reason. When the Morrigan, the Celtic goddess of war, kidnaps him and drags him off to Eile, he soon learns there is far more to his strange life than he ever thought possible. 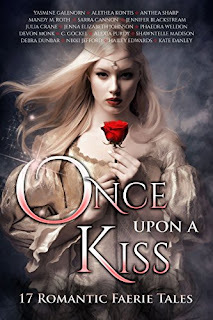 Aiden's heritage, much to his surprise, connects directly to the high queen of Eile, and when she insists he spend his summers in her realm, Aiden and his family are understandably hesitant. With the Morrigan defeated and the dark magic of the Otherworld up for contention, this new world Aiden belongs to isn't exactly safe. But deep in the heart of Eile there is an ancient forest protected from the dark beings and harmful magic of this enchanting realm - a place Aiden might find refuge and perhaps, if he's lucky, discover his first real friend. I read the Trilogy in two days, and I am sad to see it over. I have been reading a lot lately, but these books sucked me in quickly. I found myself invested into the characters and storyline. No book has made me feel so drawn in, and I loved every minute of it! Thank you so much for the feedback! I know the Otherworld Trilogy itself is over, but don't worry, once my Muse sends me the ideas for a new world, I can't really leave it behind for good :). I have another trilogy planned (Aiden's story), and a few spin-offs to start me out (not to mention more short story collections from Cade's point of view). Let's just say I'm not entirely through with the Otherworld yet, just waiting for the next chapter to reveal itself ;). Awesome, maybe Aiden can have his own book or three or Cade and Meghan's children. Or even the Queen's story about their father and why she had to send the kids to the human world. Oh there is so much you can do with this. This was a wonderful series and I plow through books like water, this one has me wanting to go back and savor it all over again. Tea - You've read my mind ;). I do plan on another trilogy for Aiden (though it will take a while for me to get to it - still need to write Robyn's and Enorah's stories, as well as all the other writing projects I've started :P). I've been hearing from other people that they'd like to hear Danua's story, though I might be able to tie it in with Aiden's . . . we shall see! Thanks for the comment and I'm doing my best to get the next Cade POV story done. Thank you so much for the wonderful compliment! And don't ever be embarrassed to know too much about Celtic myth . . . the world needs more advocates for the legend and lore of the Celtic Isles ;). 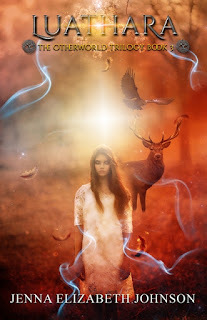 I have so many ideas for future books in the Otherworld realm, including at least one book for each of two secondary characters and a trilogy for another, not to mention branching out into some of the other Celtic worlds . . . Let's just say I have plenty to keep me busy. I only hope that I will manage to get them written in a more timely fashion :). Jenni, i have read the entire Otherworld series and i loved every single one of them. i have been looking for a good series to get my overactive imagination running on all cylinders and your books did just that. i really appreciate the work you put into these books they really can bring a reader to a completely new world. Thanks so much again really loved the series. Thank you so much! I always appreciate any feedback I get from my readers and of course, it's always thrilling to hear that my stories are bringing joy to others. Not to mention, it only encourages me to write more books ;). 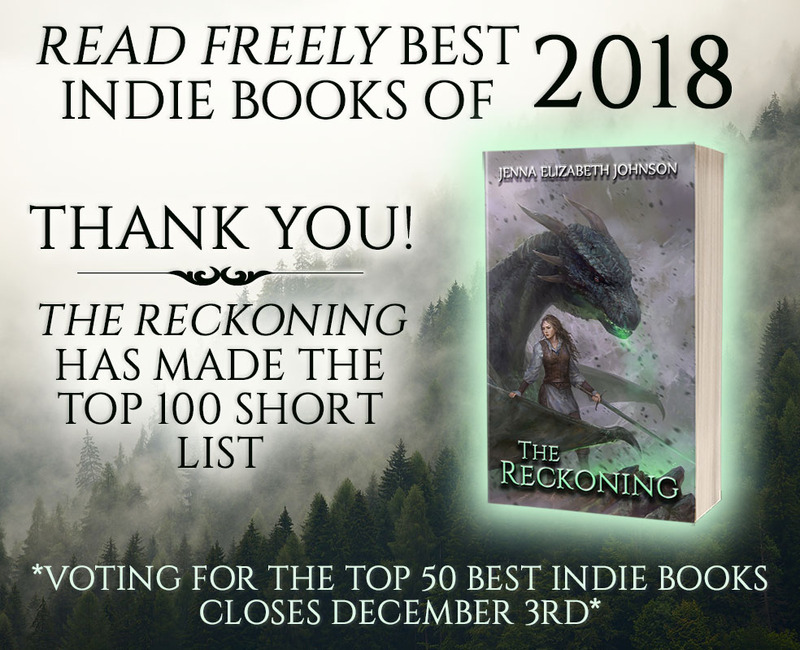 Thanks again and happy reading! DLR - Thank you so much for your feedback! It always amazes me that my writing can bring joy and inspiration to others. I myself often pick up a new author (or old favorite) and discover that by the end of the book I've got a new story brewing based on their inspiration (a few of my work in progress series have started this way ;)). Again, thank you so much and be sure to look for future Otherworld novels and novellas in the future (not quite done with that world yet :)) and be sure to write a review if you get a chance. Happy reading and writing! Very happily reading The Otherworld Trilogy at the moment. I am on to the third book. But I wanted to take a look at your website and make sure I was reading them in order. I noticed on B&N there is a story from Cade's point of view. I can't wait to dive into it as well. I am sad that it is only a trilogy though. I see that you do plan to write more with their world. I want to take the next book slow and savor it. I hate that feeling when you come to the end of a series, whether it be a good book or tv series and your just left with that sad feeling of what next?? I really hope that you do write more. I love Meghan and Cade's world already and I am not even done with it. Your other trilogy sounds like it will be good as well. 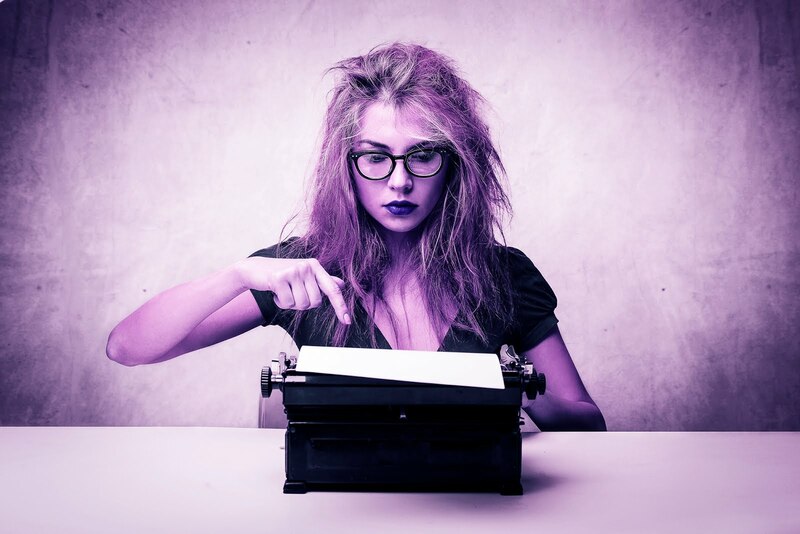 A good writer isn't always easy to come by. I thank you for your work!! Hello Seaturtles38! I'm so pleased to hear that you have been enjoying the Otherworld series :). Sorry I didn't comment earlier, but my old laptop was getting glitchy and I couldn't work on my blog with it for some strange reason . . . hoping to do some catching up with posts and such now that I've got a newer one ;). I've been working diligently on Robyn's story and I'm hoping to finish up by the end of the month. Be sure to keep checking back here and on my Facebook page for updates. 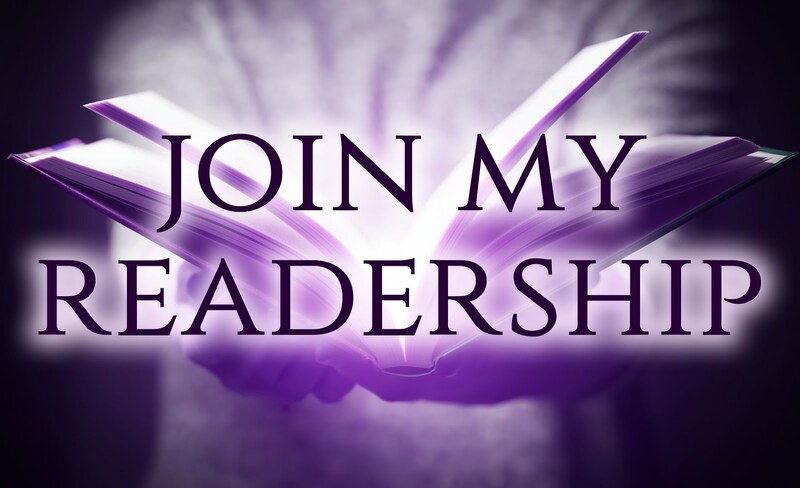 Again, thanks for taking the time to comment and if you ever have any questions at all, feel free to email me at authorjejohnson@gmail.com. Until next time, happy reading! Hello Kristahra! Thanks for dropping by and although it isn't on the top of my list, I HAVE considered writing the entire series from Cade's POV (you're not the only one who has suggested this, so maybe that means it needs to be done ;)). But alas, I have so many writing projects that need tackling and not enough time! What I can do, however, is maybe write some of those scenes that you suggested and put together another Cade novel/novella . . . Mayhap this summer when I have a wee bit more time ;). 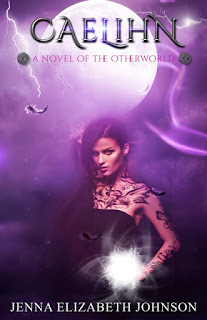 Hi, Jenna, I just wanted to say that I love the otherworld trilogy, it's an awesome action packed romance series, better than anything I have ever read so far, and I do read a lot, but I wish it hadn't ended so quickly, like in Luathara, at the end, Cade asked Meghan to marry him, then it ends right there, are you going to make a book on their wedding? Please make more books soon available on the e-reader , also, are you going to re-make Luathara again told by Cade's point of view? HI Jenna, I was wondering if there will be more to Robyn's story. I really enjoy reading this series of books. I look forward to reading more about Methane and Fade as well. 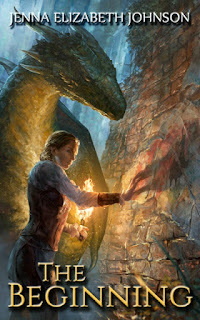 Hello Shanna and Christopher, Yes, there will be other Otherworld novels :). 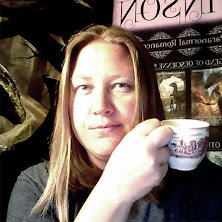 Robyn will have at least one more full-length novel, and I have started a short story/novella that will take place between Lorehnin and her next book. Christopher - I have a book planned for Enorah, and a trilogy for Aiden. I'd also like to write more from Cade's POV (more scenes from Dolmarehn and Luathara). The fourth book in my Oescienne series, however, REALLY needs to be written, so it's the priority right now. Just wanted to let you know that you should definitely expect more from the Otherworld series from me ;). do Cade and Meghan ever have kids and do they ever get married? Thank you, Hannah! I hope to write many more in the future ;). I just finished the trilogy! Awesome! Love it. What book do you suggest next? Cade's point of view? I don't want to miss anything!!! Hello Charlotte! So glad you enjoyed the trilogy ;). 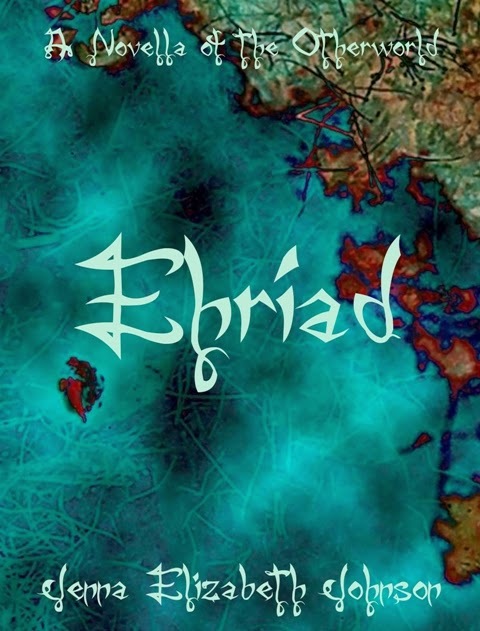 I would suggest you read Ehriad first (it's short - three scenes from Faelorehn told from Cade's perspective. 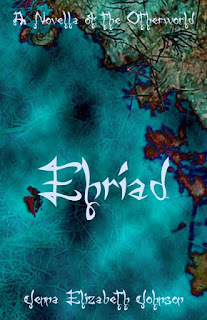 You won't miss anything if you don't read Ehriad, but if you like Cade, it might be fun to see what he's thinking ;)). 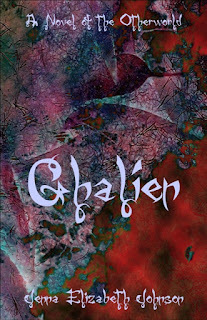 Next, you should read Ghalien (this is also from Cade's POV and the first part is a short novel that takes place between Faelorehn and Dolmarehn - I do some world building and character introduction/prefacing for future events in future books in this one, so this is definitely something that adds to the series. There are also two scenes from Dolmarehn that I tell from Cade's POV). 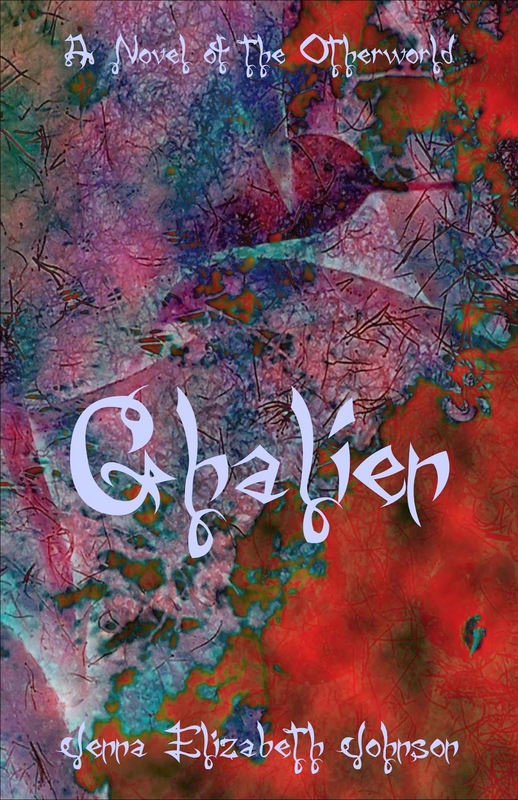 Once you finish Ehriad and Ghalien, you can start on Lorehnin (an offshoot of the original trilogy, but this tell's Robyn's story so it's told all from her perspective and features a character introduced in Ghalien). Caelihn, the next book in the series that will be released on February 14th, is a short novel that takes place immediately after Lorehnin. Hope this helps and feel free to send me a message anytime if you have any more questions! Is there going to be anymore to the series. I was sucked into all of them and would love to read more! Both the trilogy and the other spin off books!! Hello Gabrielle! Yes, there definitely will be more books in the series. As of right now, I have plans for two more trilogies to take place after the initial books (Faelorehn, Dolmarehn, Luathara), as well as a true sequel to Robyn's book (Lorehnin). I also plan to write books for two of the secondary characters as well. Right this moment, however, I simply MUST get my next Oescienne book out (the last one was published in 2011, and my readers are not happy with me right now :( - I blame the characters of the Otherworld series for distracting me ;)). 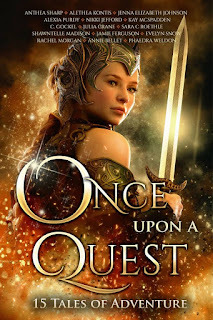 Once the fourth book for my Oescienne series is in the hands of my beta readers and editor, I will start figuring out how I'm going to write the next Otherworld novels (since the events in most of the ones I've got planned happen during the same time :P). It's going to be a busy year for sure! Thanks for your question and hang in there! I LOVE your Otherworld series! Bummed that Robyns story seems to drop before she finds out who her mother is though. Will you be continuing her story? 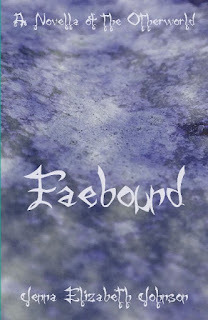 I've just started Faeborn. I miss the old characters LOL!! Love your work!! Hello Miranda! Great to hear you've been enjoying the books :). Don't worry, I'm not through with Robyn yet (or the rest of my Otherworld characters, for that matter ;)). I'm currently finishing up with the fourth book in another series and once that's done, I'd like to get back to the Otherworld, so hopefully I'll have another book or two out this year. Thanks for commenting! Finished the trilogy, great story, but I have a question...In Luatara, Donn says to Morrigan "You wish to put the two offspring of Danua and that Formorian in one cell?" And that is the last we hear of the Formorian, which I assume would be their father. Why didn't Meghan notice the third person in the cell, and why isn't the Formorian ever mentioned again? Hello Steve! Glad you enjoyed the trilogy and thanks for your question! Let's see, the reason we don't hear more about the Fomorian is because that particular Fomorian is Meghan's and Aiden's father (and he's currently out of the picture). However, I do plan on introducing him in future books ;). Thanks again! I'm thrilled Oescienne 4th book has been published. As I finish this series, I am looking forward to the Otherworldly book(s) due out this year. It is tough to be hooked and have to wait on series you are concocting but I do look forward to each one. I have so many questions relating to Otherworldly also expressed by other readers, I will just wait. Thank you so much KDS! I understand your pain - as a reader, I can go crazy sometimes waiting for the next in a favorite series ;). As a writer, I'll do my best to get the next books out to you as quickly as I can. Until then, happy reading!!! Love the other World Series, but I can't find book 5. Is there a book 5? Thanks for all your hard work I really appreciate it! This is exactly what I have been looking for! I only have the first 5 books listed, and am quite looking forward to diving back into the Otherworld Series. Hello KDS! I've been swamped with non-writing stuff (and some writing stuff that deals with marketing/book touring) for the past few months, but I have quite a few other Otherworld books in the works. 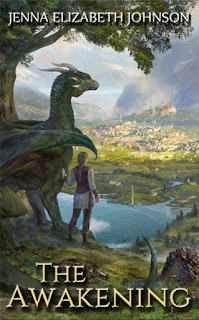 I'm working on a sequel trilogy to the original three books (Faelorehn, Dolmarehn, Luathara), as well as the sequel to Robyn's story AND a few more told from the side characters' points of view. Hope that answers your question and thanks for your continued readership! Happy Bealtaine Jenna. I am reading all these comments and just to clarify the 3rd book about Robyn and Devlin has NOT been published yet correct? I am currently reading book 8 and have down loaded 9 and 10 to read but neither of them are about Robyn or Devlin. My last memory of them is in that hot springs at the enchanted castle...keep wondering what their reception with the Maithar will be like and there are still all those fealah and Mikel and Moira to be dealt with...what a great world you have created! Great characters, good word flow and love the intertwining plot lines throughout all the Otherworld books. Great work! Hello Karen and Happy Beltaine to you as well! 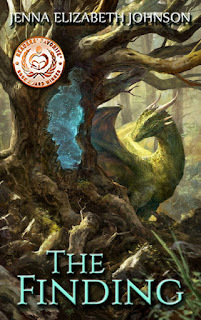 I have not yet published the next installment of Robyn and Devlin's tale - it's in my TBW pile with sooo many other books. The good news is that the story line for their next book interweaves somewhat with Cade's trilogy (just got back into that one). I'll have the summer off from my day job, so I'm hoping to put my nose to the grindstone to get some good writing done in the next few months. Thanks for your readership and I hope to have some new stories out to you soon! Hi just wanted to say how much I love your Otherworld series, both the original and the spin offs. They are all wonderful reads with brilliant characters and adventures. At the moment I have pre-ordered the Blaze and Born and can't wait to read it. 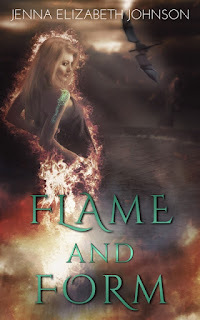 I read Flame and Form in an anthology and just loved it, I have just reread it in anticipation for the next one. Also I would like to know if you are still intending to write the 3rd book in Robyn and Devlin's tale as it has been awhile. I have so enjoyed these tales all of them.